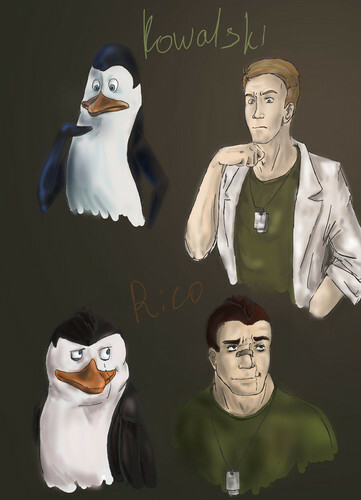 PoM: Army style - Rico, Kowalski. . HD Wallpaper and background images in the पेंग्विन्स ऑफ मॅडगास्कर club tagged: pom human pom humanized penguins of madagascar humanized dreamworks humanized rico kowalski.